Help us Congratulate Dr. Tenesha Wards as a 2017 Austin Under 40 Awards finalist in the Medicine, Healthcare & Life Sciences category. 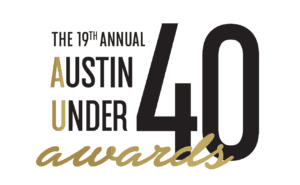 events culminating in the Austin Under 40 Awards Gala—a black-tie event honoring and celebrating Austin’s emerging professionals and their mentors. These individuals are recognized in 15 categories: Arts, Culinary Arts & Hospitality; Community Service & Non-Profit; Engineering, Architecture & Design; Entrepreneurship & Start-up; Financial and Insurance Services; Government & Public Affairs; Legal; Marketing, Advertising & Public Relations; Medicine, Healthcare & Life Sciences; Real Estate; Sports, Wellness & Fitness; Youth & Education; Technology & Sciences; Mentor of the Year. The awards gala serves not only to commend individuals such as Michael Dell, Dan Graham, Kendra Scott and Andy Roddick for their leadership and achievements, but more importantly, to raise money for two philanthropic beneficiaries. 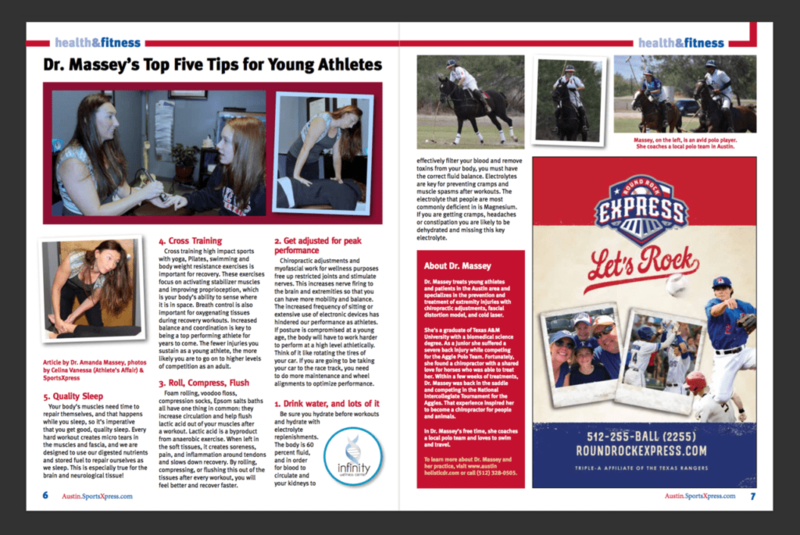 Dr. Massey’s Top Recovery Tips for Athletes was featured in SportsXpress magazine Austin Edition. Dr. Tenesha Wards was the recipient of the “Best in health and Wellness” in Austin during the Austin Women Magazine Awards April 29th. The two other finalists in that category were an OBGYN, Lisa Jukes, and a Pediatric office – Bee Well Pediatrics. As you can see in the video below, she was VERY Excited!!! Dr. Wards holds the position as Past President (2014) for Texas Woman in Business (TWIB). See Dr. Tenesha with Time Warner’s Jess Mitchell on TWIB’s Annual Conference – Beyond 50, a Conference for ALL Women! Austin Woman Magazine’s, Fearless Women Stories, October 2011, article on Dr. Tenesha Wards. I owe my fearlessness and my passion for healing to my experience of the deep fear that comes from unrelenting pain. Overnight I went from the natural fearlessness of a fifteen-year-old girl to a deeply frightened teenager experiencing intense pain. Quarantined because of a red feverish rash that covered most of my body, doctors ran test after test to no avail. No one could figure out the source of the rash, swollen joints, and pain. Pumped full of drugs and steroids, I only gained weight and got worse. My fears and my parents’ fears escalated. One day I finally surrendered and told my mom I wanted to die. Looking back, I crossed a bridge that day. I didn’t know it then, but I found the power that comes from acknowledging and naming a deep fear and letting others help you move through it. For after that, my mom moved past her own fear and stepped up the research she did to find an answer. Her insistence that I be tested for Lyme disease – – rare and unheard of in Michigan at that time – – is what saved my life. Witnessing my mother transforming her fear into action has forever made her my hero, inspiration, and rock. From her example of leaving no stone unturned and the inspiration born out of that painful experience, I now passionately work closely with my patients to uncover the source of their illness, empathize with their pain and frustration, and then stay the course to help them heal. For me, being fearless doesn’t mean you never experience fear. It means you name it, claim it and then courageously move forward, while allowing others to support you. Fearless Wisdom to share: Only you know your body best. Fearlessly listen to it, be kind to it, feed it vital foods, exercise it, rest it and most of all love it. Be in control of your health and never, ever settle for less than optimal. AWAKENING IN AUSTIN showcases the diverse and powerful community of holistic, metaphysical and energy practitioners in and around Austin, and brings the best of their knowledge to you. 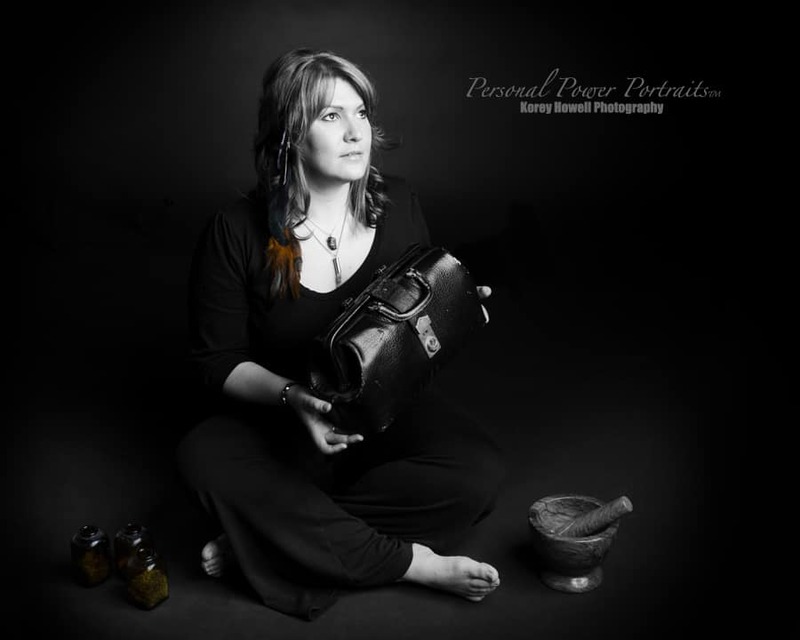 AWAKENING IN AUSTIN is a project of Higher Self Enterprises and hosted by Sara Pencil Blumenfeld.